The most expensive part of moving house is usually the removal company. There are ways to save money to make sure the removal costs don't get out of hand, but if you really want a cheap move, you'll avoid moving companies altogether, and get family or friends to help with the heavy lifting. Chances are you own things that you never use. Before moving, go through all your clothes, books, media and old electronics. Anything you don't use regularly, sell. eBay and Gumtree are good websites to sell second hand items. Not only will you have money from the sale, but you'll have less to pack and carry. If you still have time before your move, start stockpiling boxes, bubble wrap, and other packing material from deliveries you receive, and ask friends and family to do the same. You can often get free boxes from the supermarket too. Shop around and find the cheapest place to hire a van, and get friends and family to help you move heavier items. 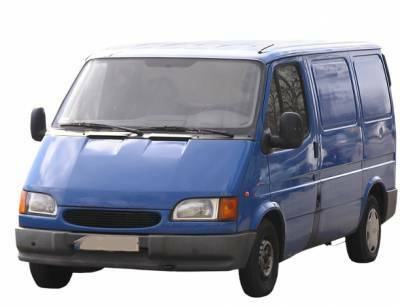 Make sure you get a big enough van, as multiple journeys will add time and petrol cost to your move. Furniture can be tough to get rid of. If there's no space for it at your new place, don't pay to have it removed. Some furniture charities will send people round to collect bulky items, or you could try to give it away to friends or family who can transport it themselves. Have a friend or relative look after any children too young to help with the move, or any pets that might get in the way. If you have a dog or cat, make sure your new address is written on or attached to their collar, in case they get disorientated in the new neighbourhood. Moving house is a great time to renegotiate all your accounts and get cheaper deals from your providers. The Money Dashboard website has price comparison features that allow you to compare broadband, TV and phone deals and gas and electricity deals. Enter your new postcode and find the best deals in your area.